Love going on a culinary journey? Then this gastronomic experience will not only present you with many delights and surprises but it will leave anyone talking about this epic food journey for a long time. This is a new and entirely innovative two-hour dining concept. “Le Petit Chef” will take you on a journey by Marco Polo. Using cutting edge 3D visual technology you will be taken on a story adventure. The show’s six-course menu takes the diner along a unique culinary journey across the regions visited by the legendary traveler on the silk route experiencing different flavours, ingredients, sights, sounds and tastes. The mood, music, table patterns, props and decoration all change with the chapters of the story to immerse the diner into one continuous 3D projected tale. 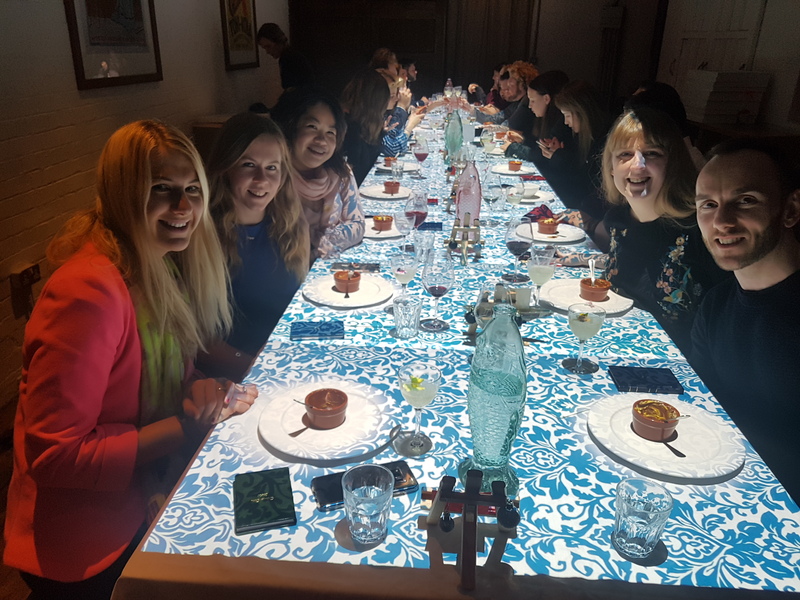 Thanks to Dinner Time Story who let some of the community of Love Pop Ups London come down to experience a gastronomic food experience like no other. Read all our stories from the comments section below. Are you ready to check out Dinner Time Story London and their multisensory dinning experience with a difference! Click here to read my review on it! 3D projection dining experience! DINNER TIME STORY LONDON. 6-course epic meal with drinks. Thanks to Love Pop Ups London and Dinner Time Story London for the opportunity. Dinner Time Story is like nothing I’ve ever seen before. Taking diners on the adventure of a lifetime. Had an amazing time at Dinner Time Story – loved the 3D projections and the food was amazing!